Attention Marquette basketball fans! There are only four remaining Marquette basketball home games this season. If you have not made it to the Bradley Center this season to catch the Golden Eagles in action, then you must make it a point get your Marquette tickets before the season's end. Tonight, Marquette hosts Seton Hall at 7PM. On February 11th, the Golden Eagles will host the Cincinnati Bearcats.Wednesday the 22nd, Marquette hosts Rutgers and finally on March 3rd, Marquette will wrap up its home season against Georgetown. Marquette currently boasts a six-game winning streak and hopefully that will extend to seven games after tonight's game. 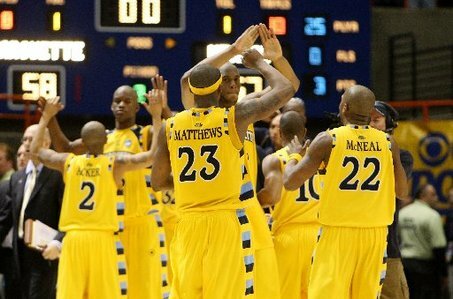 Go Marquette!